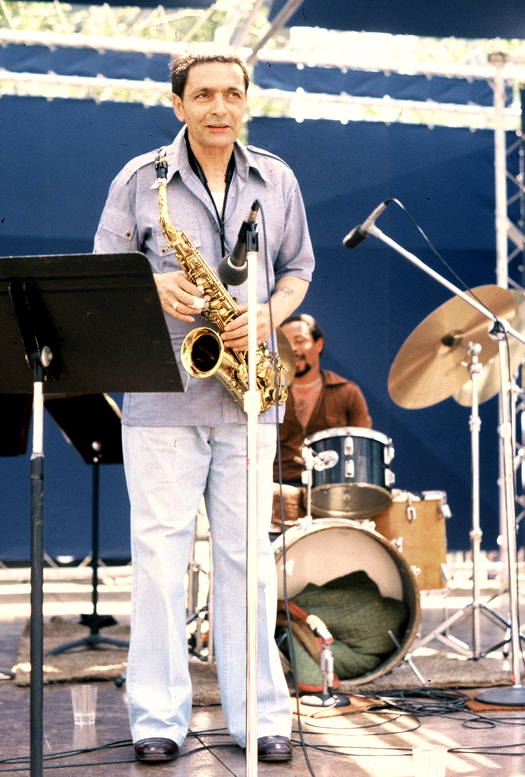 After one of the toughest lives in jazz history, Art Pepper was astonished to still be around in the early ’80s. He managed to rally for one last classic; ‘Our Song’ was recorded on 4th September 1980 at Fantasy Studios in Berkeley, California. It doesn’t feel like an ’80s track at all – it’s more like the closing titles to an early ’70s Robert Altman movie or an alternative theme from Bernard Herrmann’s ‘Taxi Driver’ sessions. Many commentators think that, on his day, Pepper’s alto sax playing rivalled Charlie Parker’s, and he demonstrates his mastery here with a real tour de force. As a musical farewell, it’s a potent statement. Pepper believed it was the best thing he had ever done and the culmination of his life’s work. ‘Our Song’ also seems to be a personal goodbye and heartfelt tribute (apology?) to Laurie, this third wife and the last love of his life. She contributed to his jaw-dropping autobiography ‘Straight Life‘ and has also recently published her own memoir about her life with Art.